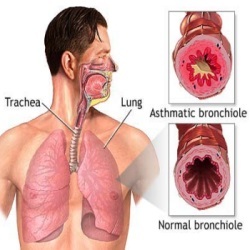 A chronic breathing disorder of asthma is characterized by frequent attacks of wheezing and breathlessness when an individual gets exposed to asthma triggers. Some of these triggers may be common to asthmatics, but certain others may be individualistic. These triggers cause inflammation and swelling of airways lining (bronchospasm) and abnormally high build up of thickened mucus. In most of the individuals, the symptoms worsen with respiratory infections like cold and in a few others, they may appear without any obvious cause. Asthma can occur in all age groups, but usually begin by childhood itself that if not treated, can become more serious. Though, asthma cannot be treated but can be properly managed enabling the sufferers to manage a quality life, despite intermittent asthma attacks. Those with mild form of asthma in childhood, usually outgrow it as they age, if managed appropriately on time. There can be tremendous range of factors responsible for initiating asthma attacks, but the most common and potential causes that are experienced by the majority are listed below. Allergy reactions of any form can be the trigger for airway inflammation linked to asthma. 25% individuals with allergic rhinitis tend to develop asthma. Even the allergic reactions caused by antibodies within the blood are observed to be associated to asthma. 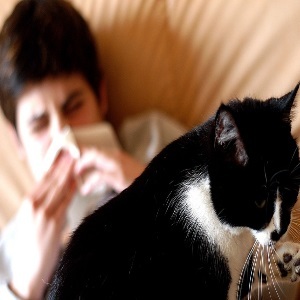 Major indoor allergens include dust mites, animal proteins majorly dog and cat dander, fungi, cockroaches and mites. Development of housing complexes deprived of natural surroundings is the major factor for increased exposure of such triggers and recurrent asthma attacks. Outside asthmatic allergens that cause trigger in most asthmatic individuals include pollens, moulds, and pollutants like nitrogen oxide, sulphur dioxide, ozone, high humidity and cold temperatures. Even smoggy conditions are the potent trigger for asthma attacks. Additionally, certain household cleaners and paints can be a severe trigger for asthma attacks. Tobacco smoke is one of the leading causes for asthma attacks and high risk of death due to wheezing, asthma and respiratory infections. Even individuals exposed to second hand smoke (passive smoking) like children or family members of the smokers tend to develop asthma attacks on continual exposure. Increased prevalence of asthma today is the result of this passive smoking for prolonged period. Atopic conditions like hay fever, atopic dermatitis, allergic conjunctivitis belong to a class of allergic hypersensitivity that may even affect those organs that otherwise do not come in contact with allergens and becomes a risk factor for asthma development. Around 40 to 50% of children suffering with atopic dermatitis also tend to develop asthma and show more severe and persistent asthma attacks in their adulthood. Asthma is linked to genes and around 3/5 of total asthma cases are known to be hereditary. Children with asthmatic parents are at 3 to 6 fold higher risk of developing asthma attacks. The responsible gene is responsible for hypersensitivity reaction on getting exposed to various asthmatic triggers. Overweight individuals with a body mass index ranging from 25 to 30 are at 38% higher risk of developing asthma and obese individuals with BMI 30 or more are at twofold risk of asthma. Asthma attacks also get triggered with use of non steroid inflammatory drugs, aspirin and beta blockers used for treatment of migraine, high blood pressure and heart disorders.